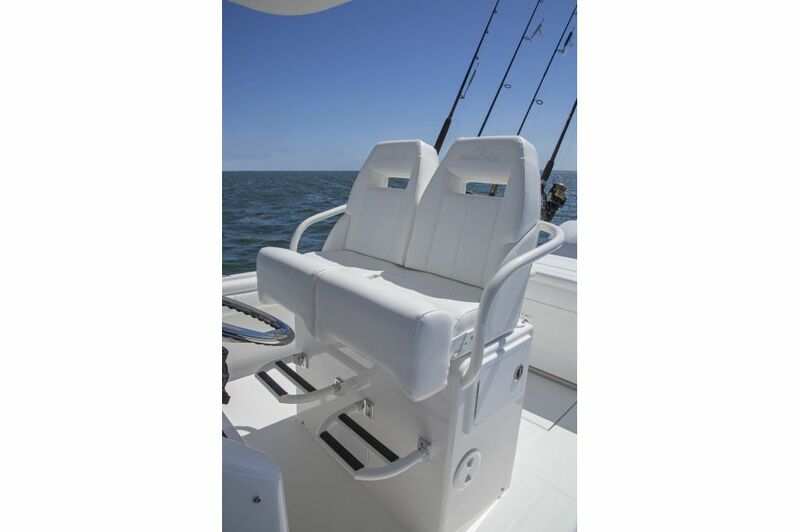 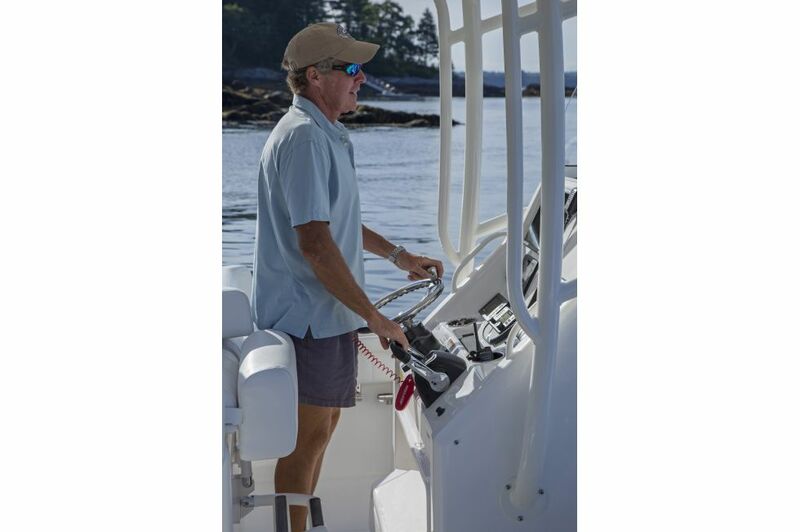 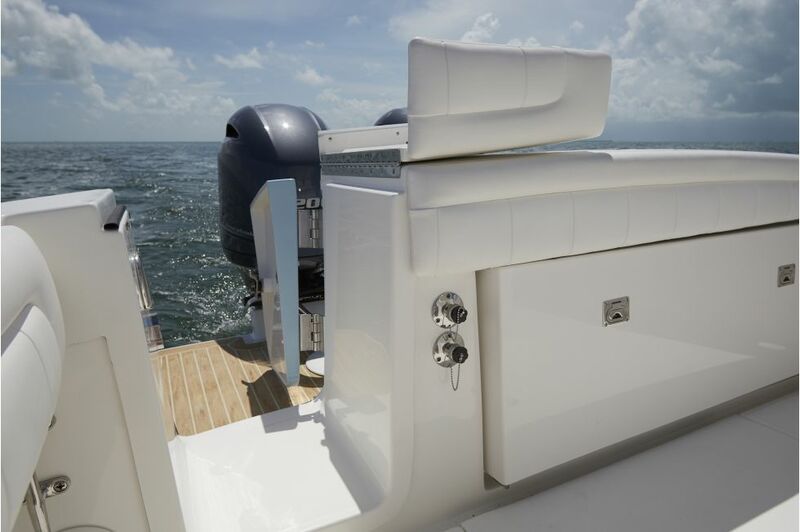 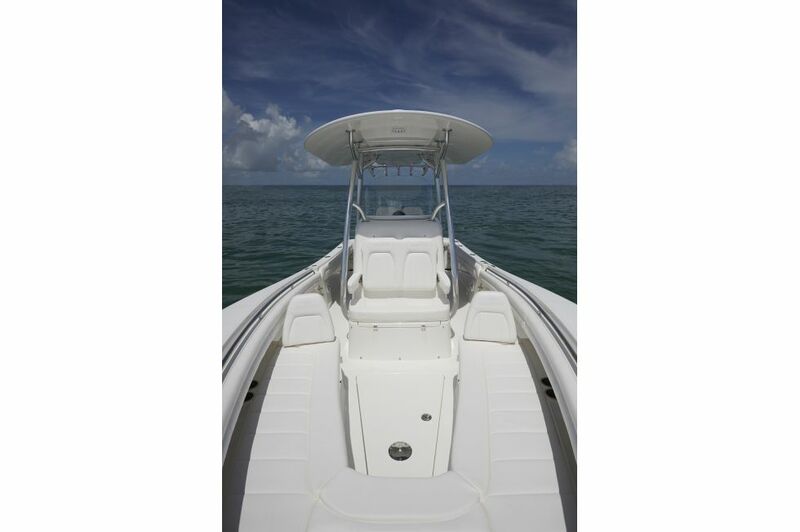 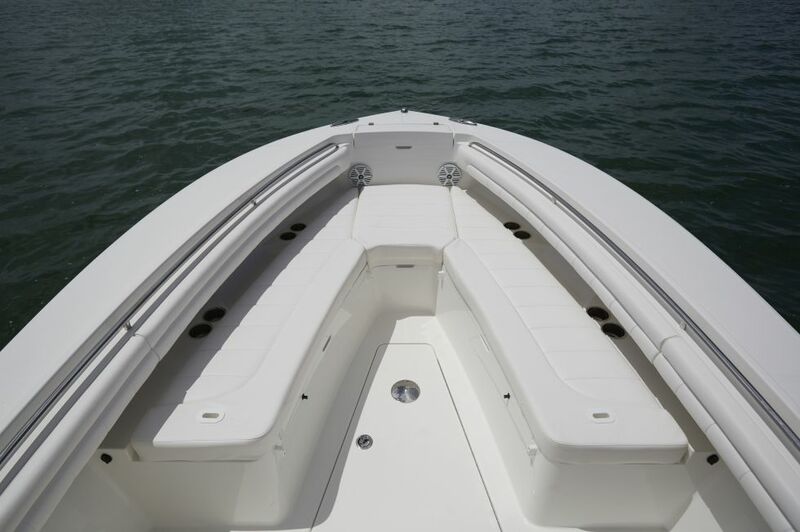 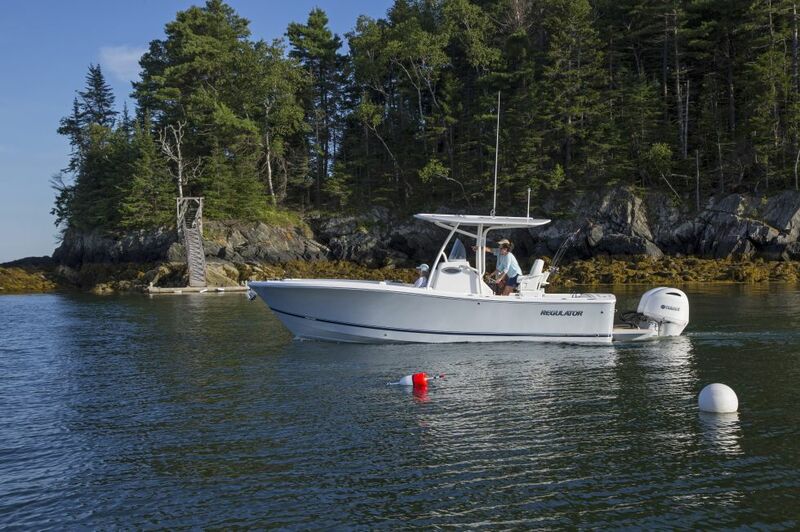 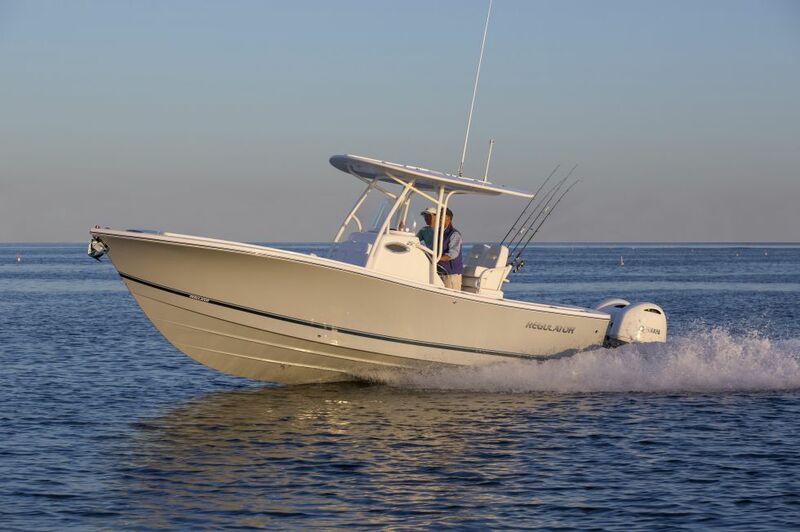 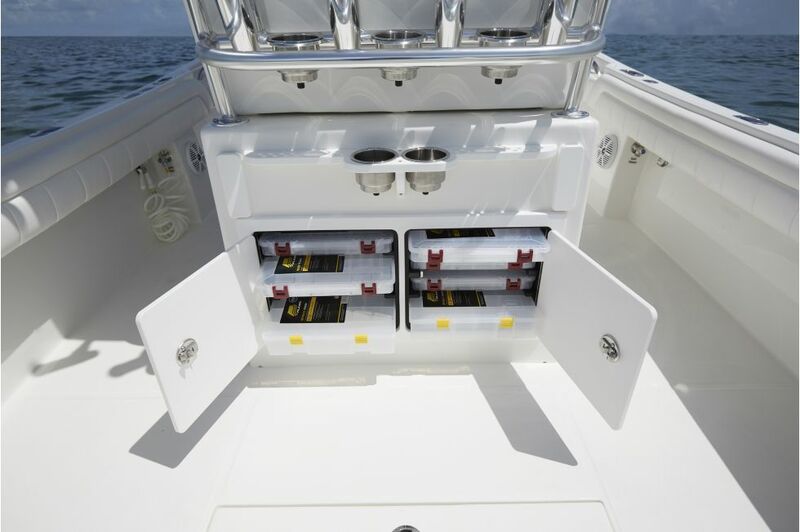 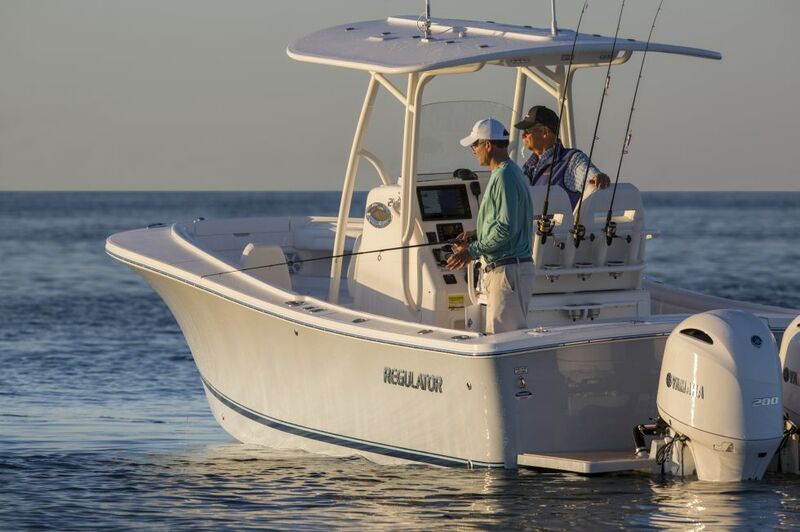 With beautiful lines and a design engineered for ultimate performance, the Regulator 25 delivers big boat features including a transom walkthrough tuna door, T-Top with surfboard edges, and SeaStar Solutions® Optimus Electronic Power Steering with tilt helm to go above and beyond what you would expect from a mid-size boat. 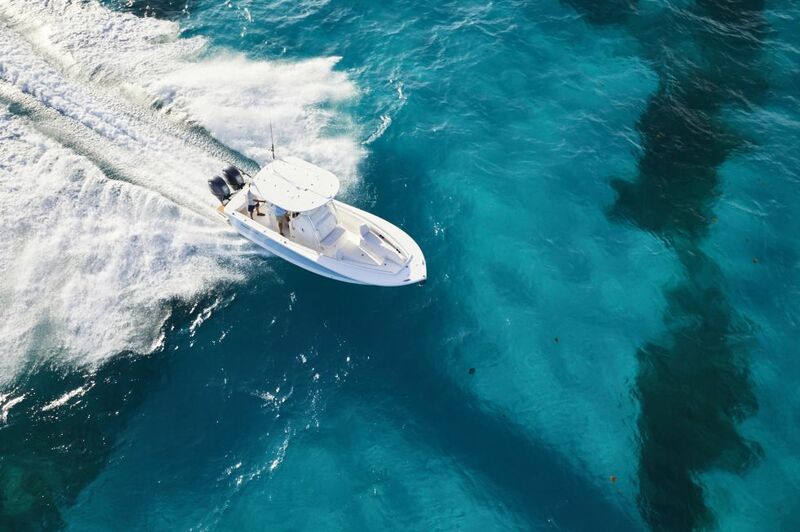 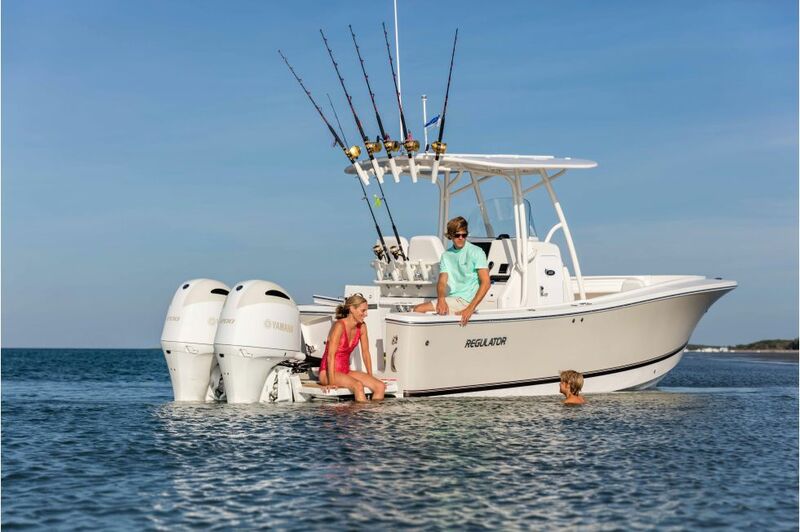 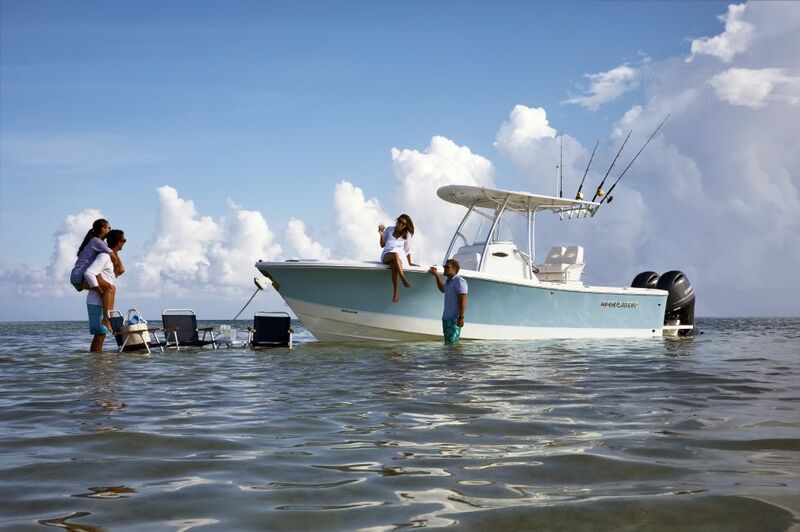 Great speed, fantastic fuel economy, and an incredibly well-balanced ride come standard so you can fish the canyons in comfort or bring the family aboard for everyday fun. 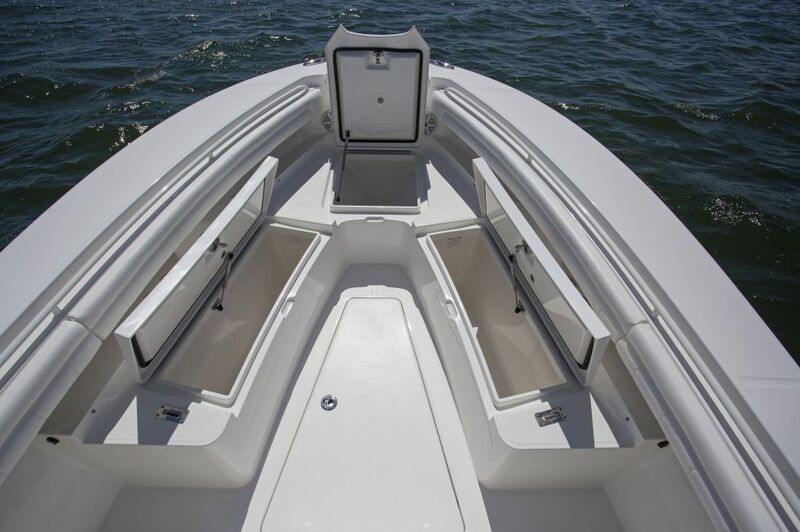 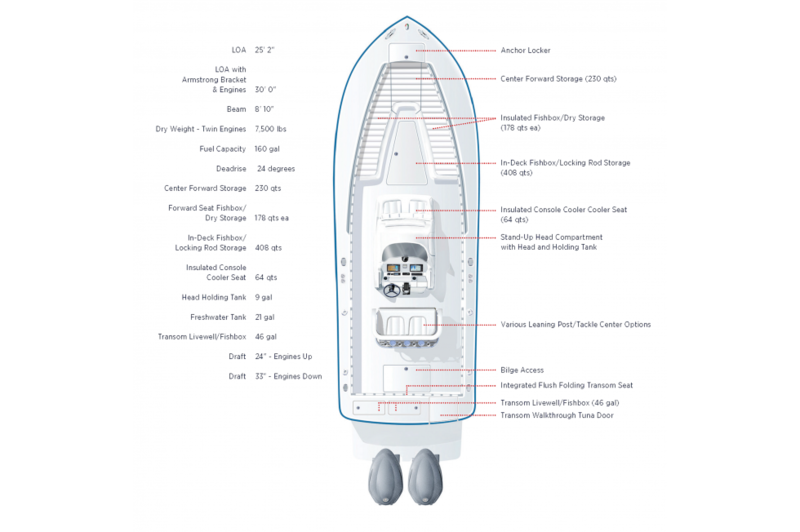 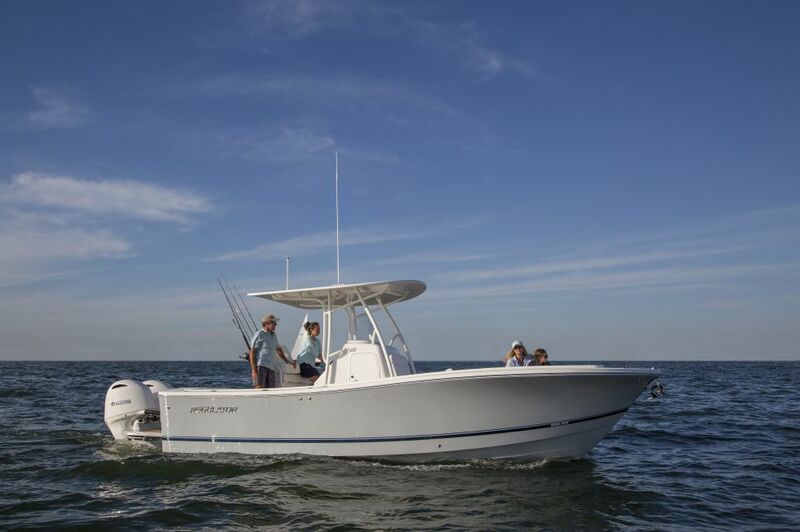 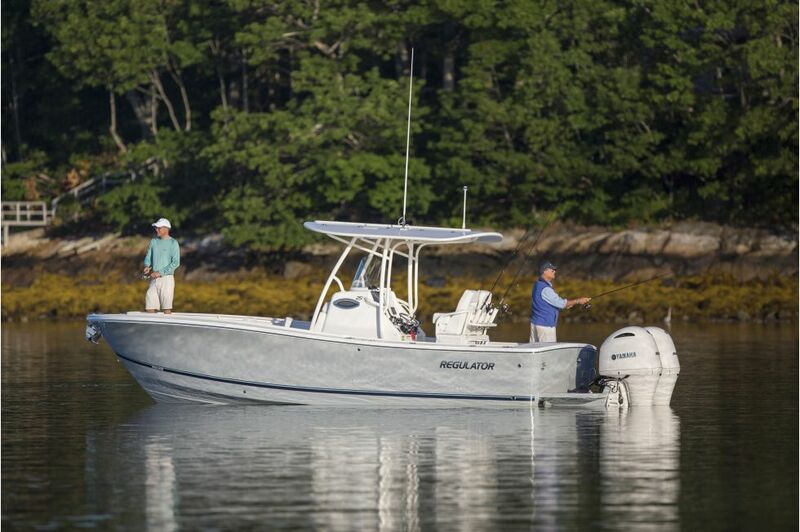 Enjoy spacious seating, ample storage, freshwater transom shower, and standard head wherever your days on the water take you.